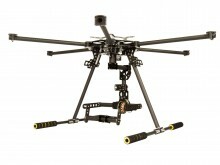 By using 2- or 3-axes-gimbals we are able to ensure both a complete absence of camera shake, thereby producing steady video footage, as well as the ability to let the camera be positioned precisely where needed. 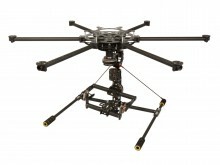 Between two and four motors provide real-time precise positioning of the camera in relation to the gimbal. 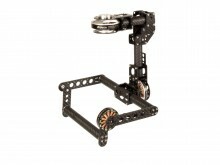 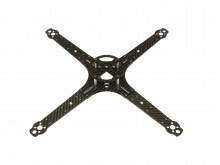 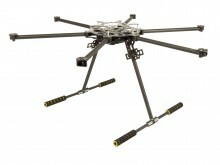 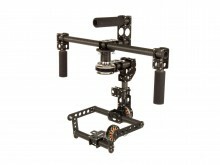 Gimbals such as this one can either be affixed to multicopters or frames which can be held by hand (manual operation). 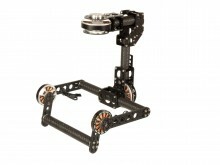 Gimbals can also be attached directly to a tripod to be used in combination with the appropriate software to create panorama or gigapixel pictures. 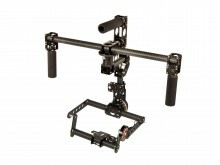 Our company designs and produces gimbals in all sizes that are compatible with all cameras, from a GoPro to a Sony Nex5/Nex7, a Lumix-GH4, a Canon 5D all the way to a RED Epic. 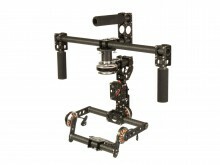 The camera mount CM-M-G3D is a 3-axes gimbal with two motor in the horizontal pitch axis (.. 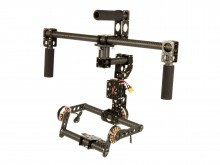 The camera mount CM-M-G3S is a 3-axes gimbal with one motor in the horizontal pitch axis (..